Afghanistan is officially the worst place in the world for women. Arzu Studio Hope, an artisanal rug manufacturer that employs more than 1,000 women, aims to change that by offering women viable professional opportunities, as well as health care and community support. “The military has learned that when you seed an economy, people will put down their guns,” says Connie Duckworth. 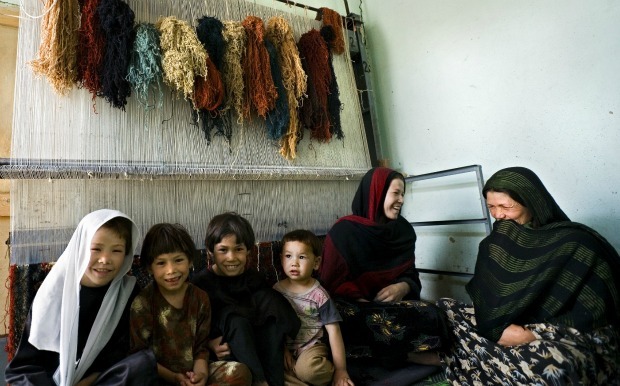 “That’s why the Marines asked me to don 30 pounds of body armor to meet with them in Helmand Province in Afghanistan,” where she had established Arzu Studio Hope, an artisanal rug manufacturer that employs 1,000 women, who in turn support 4,000 family members in Afghanistan. Afghanistan is officially the worst place in the world for women, according to a 2011 study by Thompson Reuters Trust Law. That was quite apparent to Duckworth during her first visit to Afghanistan in 2003, when she was invited by the U.S. State Department to participate in the U.S.-Afghan Women’s Council, a bipartisan commission formed to ensure Afghan women a voice in post-Taliban Afghanistan. As a partner and managing director at Goldman Sachs, Duckworth had always held a strong point of view and mentored women from all walks of life, with the idea that “she who writes the checks controls the agenda.” Having recently retired from Goldman Sachs, Duckworth determined to use her business experience to do something to change conditions for women in Afghanistan. Soon after her State Department visit, Duckworth established Arzu Studio Hope, choosing rug-making since this was considered an acceptable job for women in Afghanistan. By 2011, having achieved great success in making design-winning rugs for the home, Arzu has moved into the corporate market, selling rugs for C-suite offices and reception areas. The appeal of the rugs is not only their artisanal beauty and quality, but also for socially responsible companies that want to demonstrate their support for fair trade, human rights, and peace and prosperity in a conflict area. With a holistic approach to community development, Arzu also established schools, and other related social services for employees and their families. The maternal mortality rate, which in Afghanistan is one of the highest in the world, is zero for the women who work at Arzu, since they are all cared for during pregnancy, and chaperoned to a local health clinic when they go into labor. In the summer of 2010, the Marines invited Duckworth to meet to see how they might collaborate to create employment for women in Helmand Province where they were stationed. The result: Today, 150 local women hand-weave Peace Cord bracelets made from parachute cord and authentic military uniform buttons. Proceeds from Peace Cord sales go toward Arzu social services and to Spirit of America, a nonprofit that partners with the U.S. military to generate private-sector resources to assist U.S. troops in their humanitarian work. “This is a new way to support the troops by helping them in their mission to bring peace, prosperity, and stability to conflict areas around the world,” Jim Hake, founder and CEO of Spirit of America, said in an interview. “We’ve become a learning laboratory for innovation in community development work in emerging countries,” Duckworth says. Arzu continues to work at the grassroots level to introduce low-tech solutions, and seed micro-businesses by training women how to use bio-sand soil water filters to reduce the threat of waterborne illnesses that kill children, and build homes with Superadobe for the hundreds of families that still live in caves. Going back to Duckworth’s lessons from her GS days, she notes that “the reality is that every successful woman is comfortable with money because it’s the medium in which the work of the world gets done.” Not only does Arzu Studio Hope advance the U.S. mission to bring peace, prosperity, and stability to conflict regions, but it also provides a means to improve the world’s worst country for women. 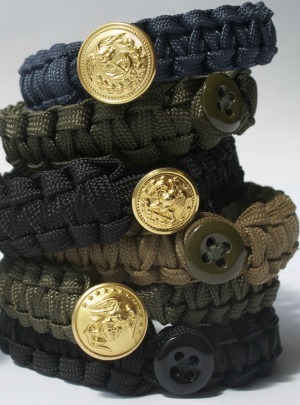 Support Arzu’s social services and the humanitarian work of our troops abroad by ordering your Peace Cord bracelet here.